Mount Ida is located in Rethymnon. For Mount Ida and beyond, use our Rethymnon road trip planning tool to get the most from your Rethymnon vacation. 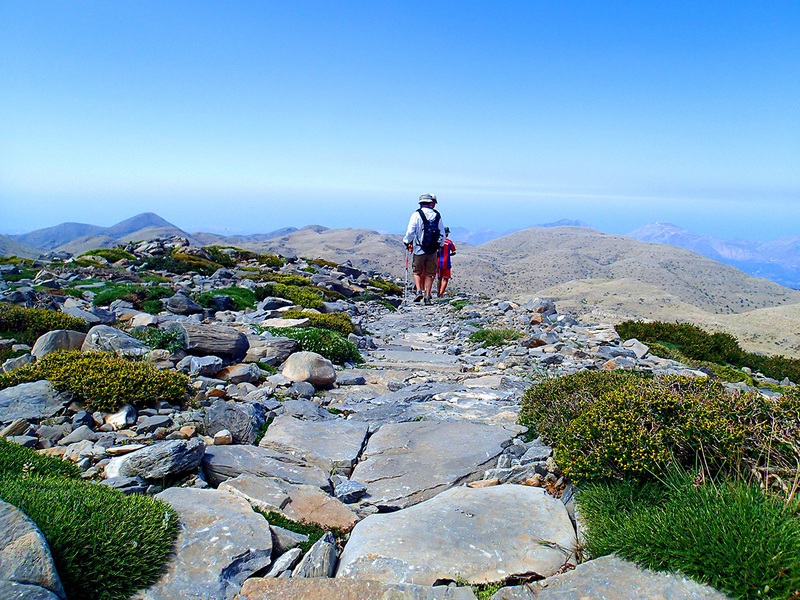 Mount Ida highest point of Crete, dominating several valleys that are more spectacular one to the other. Beautiful views. Directions of Livadia and the 13 km long, interesting, well-developed panoramic road. Rise at 7: 00 of the refugee Lakkos Mygerou out, to avoid the impending heat. We were about 2 hours on the psiloritis mountain with its main peak Timios Stavros. Views on the way and above great, only the West unfortunately cloudy. The encounters and conversations with friendly Greek fellow hikers remain in the memory (key word Raki, grapes, figs, bread and and and). 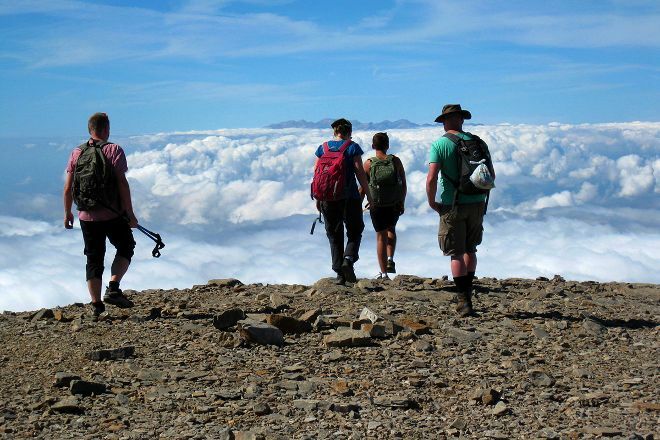 Demanding hike to the highest mountain of Crete but worth visiting! A beautiful panorama, of the Summit but also throughout the hike. 1200 m of elevation on a 20 km round trip. We have about 7 h: 4 of rise and 3 h of descent. 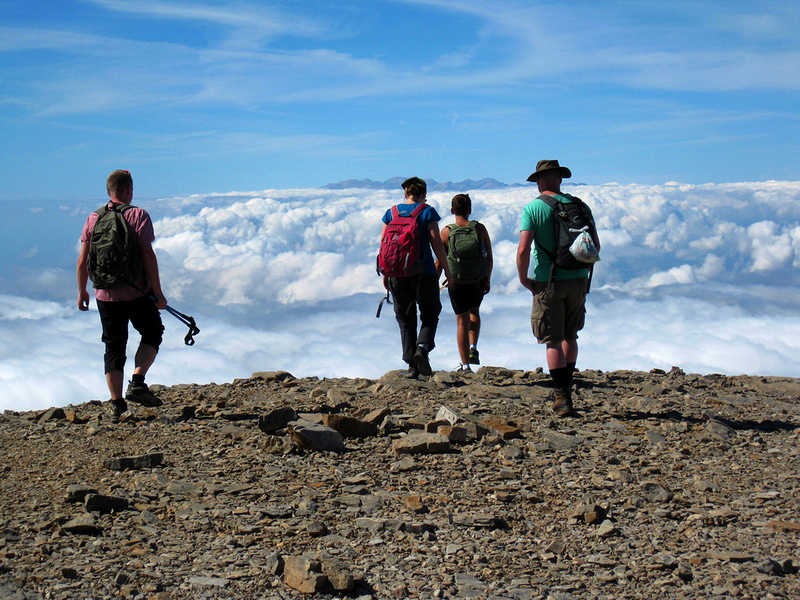 Must be in good physical condition given the elevation, but hiking does not technical difficulty or danger. All of the hiking is very well signposted, with regular markings. A first section of hike leads to the #1 pass: this part has a strong vertical drop (half of the total height). A second stretch leads to the #2 pass: party longer and less steep. The last section leads to the Summit. We had the chance to leave with a few clouds: the view from the top was less beautiful but this has made the much milder temperature! Anyway, the ideal is to start rising as early as possible, to pass the first section before the heat of the mid-day. We had need of rising socks / pants (because of pungent bushes) and a raincoat/sweater to cover themselves in the heights. To get there: we drove up to the city of Anogia, then followed for 20km signs for 'Nida plateau. This leads to a tavern, where we left our car. We had to foot the wide track that goes up, and past the chapel. After the Chapel, turn left and then another right turn. It is this right turn that hand the marked trail (two red dots Panel E4 + black and yellow markings). Attention: this markup "two dots" also leads to the cave, you see the entrance to this cave (although there are two red dots) If you have gone too far. After that, the markup is really clear, and led us to the top! Every day, we help thousands of travelers plan great vacations. Here are some tips on how to use your Listing Page to attract more travelers to your business - Mount Ida. Promote your permanent link - https://www.inspirock.com/greece/rethymnon/mount-ida-a5169448461 - on your website, your blog, and social media. 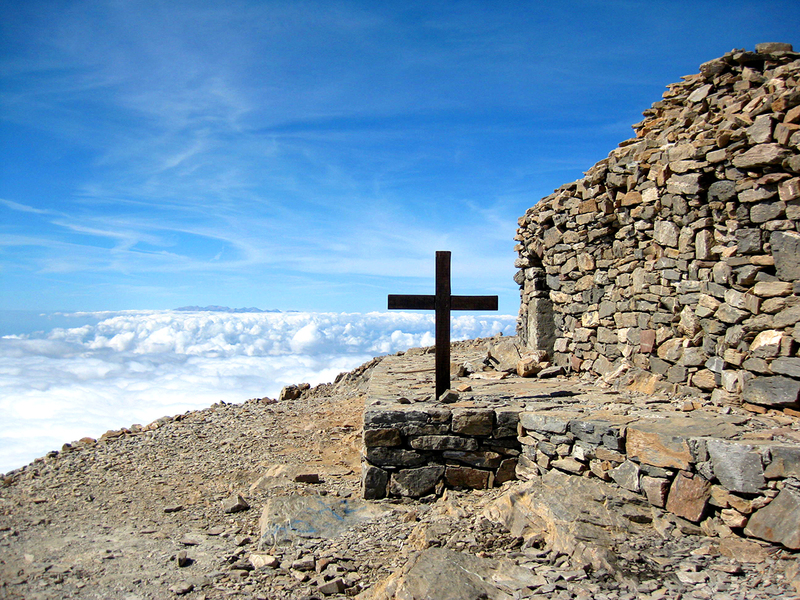 When a traveler builds a plan from this page, the itinerary automatically includes Mount Ida. This is a great way for travelers looking for a great vacation in your city or country to also experience Mount Ida. Promoting your link also lets your audience know that you are featured on a rapidly growing travel site. In addition, the more this page is used, the more we will promote Mount Ida to other Inspirock users. For best results, use the customized Trip Planning Widget for Mount Ida on your website. It has all the advantages mentioned above, plus users to your site can conveniently access it directly on your site. Visitors to your site will appreciate you offering them help with planning their vacation. Setting this up takes just a few minutes - Click here for instructions.